Core type: MGA-1064 Hurricane, card model MGA-MYST/2BN. 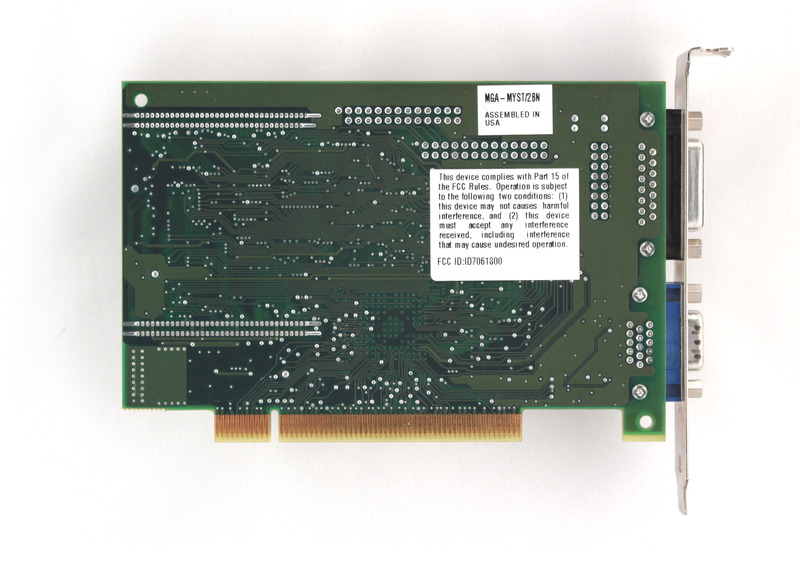 Video-connector is used with installed Rainbow Runner Studio add-on card. 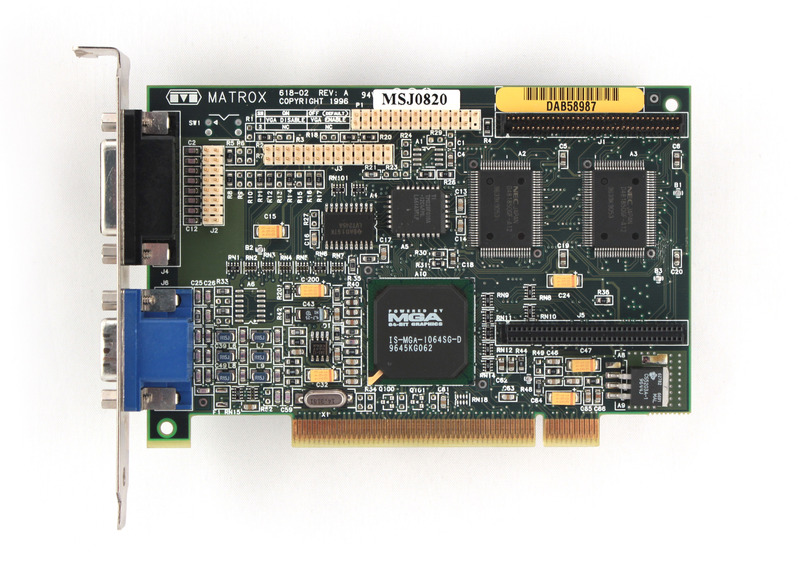 Matrox Mystique and Matrox Mystique 220 are the only cards with the support of Matrox own API MSI.”Matrox Simple Interface” (MSI) rendering API. I have one of these, does anyone know the original retail price?